Karen Smith bowls her second shot in the round as the title character from The Big Lebowski, 'The Dude,' on Friday, Feb. 10. Karen Smith held up a dark green bowling ball. She lined up her last second shot to get a spare. She walked to the line and released the ball, it barreled down the lane leaning left and nailing the last pin to get the spare. 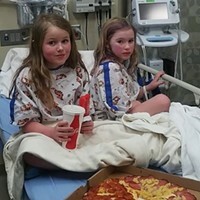 “I saw this event come up and I said ‘dude’ I gotta go,” Smith said, holding a white Russian cocktail in her right hand, the signature drink of "the Dude." 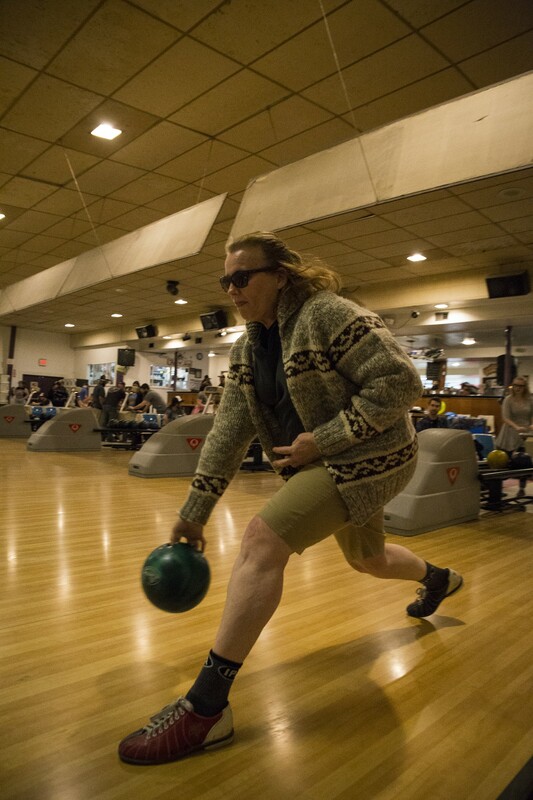 Smith attended the LeBOWLski event with her daughter, Laurel Osborn, dressed up as the Dude and Walter from the movie The Big Lebowski. While Osborn and her mother were having a good time bowling. The real Dude, Jeff Dowd, was sitting at the bar surrounded by a handful of people. He was wearing a brightly colored patched jacket and sat very relaxed. Jeff Dowd, the man who inspired Jeff Bridges' character in The Big Lebowski, was promoting a musical about the marijuana industry, Mary Jane: A Musical Potumentary. 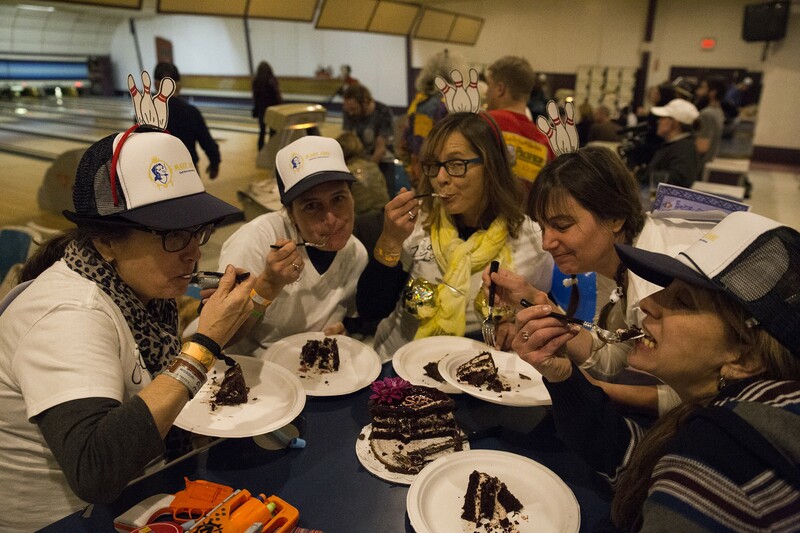 Dowd did not bowl at all during the event that lasted from 7:30 to midnight. 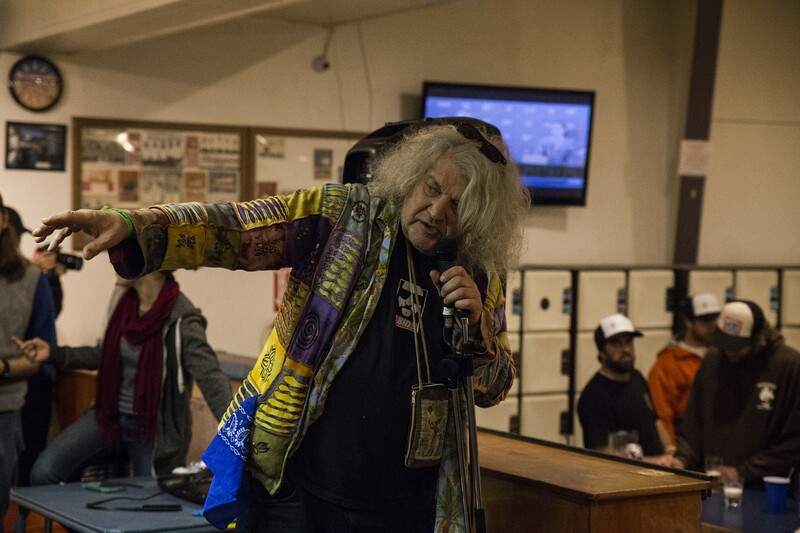 Jeff 'The Dude' Dowd, the man who inspired the famous character from The Big Lebowski, promotes the musical Mary Jane. 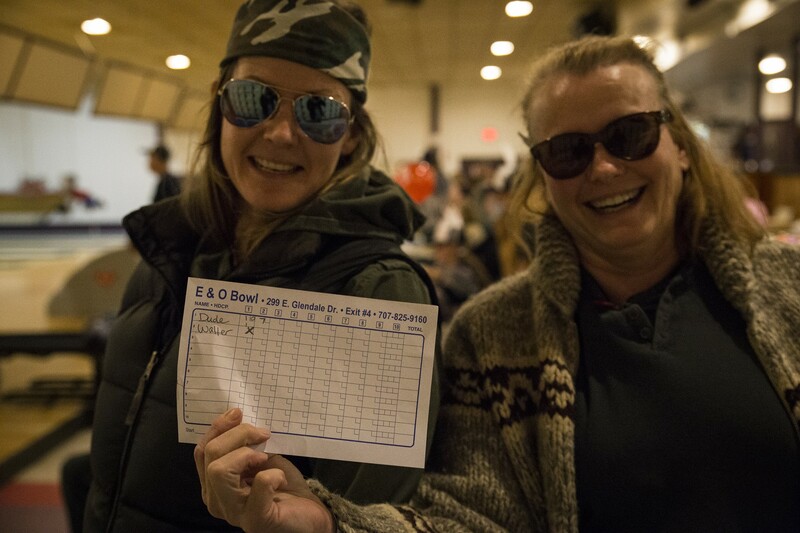 Karen Smith and her daughter holding up their score card from the the LeBOWLski event at the E&O bowling alley. About three lanes to the left of Dowd, Karen Smith and her daughter bowled. Smith wore a tan cardigan and her daughter wore a dark green military jacket. Smith’s favorite character from The Big Lebowski is Jesus, the Dude's purple track-suited opponent. “I found the pants but I couldn’t get the rest of it,” Smith said. Osborn's favorite character was Maude Lebowski, the artsy daughter of the wealthy Lebowski, but she had a hard time trying to find a costume so she dressed as Walter, the Dude's Vietnam veteran friend. That would have to abide. 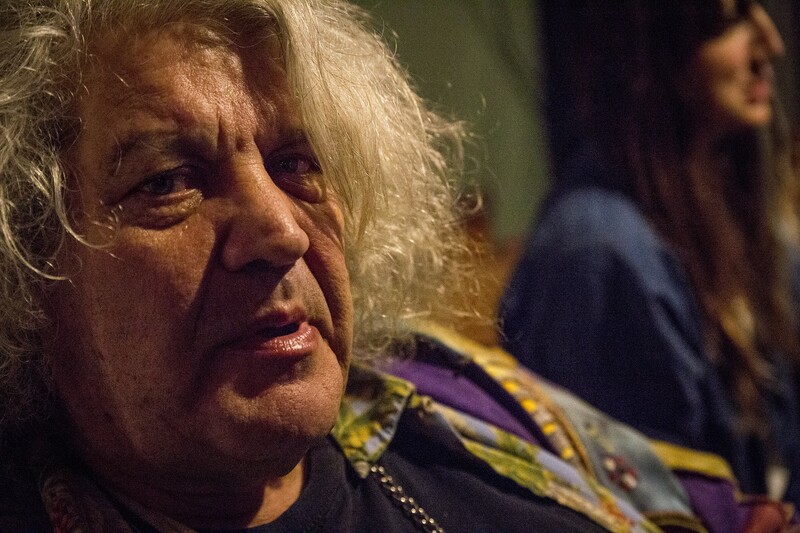 Jeff "The Dude" Dowd, the man who inspired the famous character from The Big Lebowski, promotes the new musical Mary Jane. 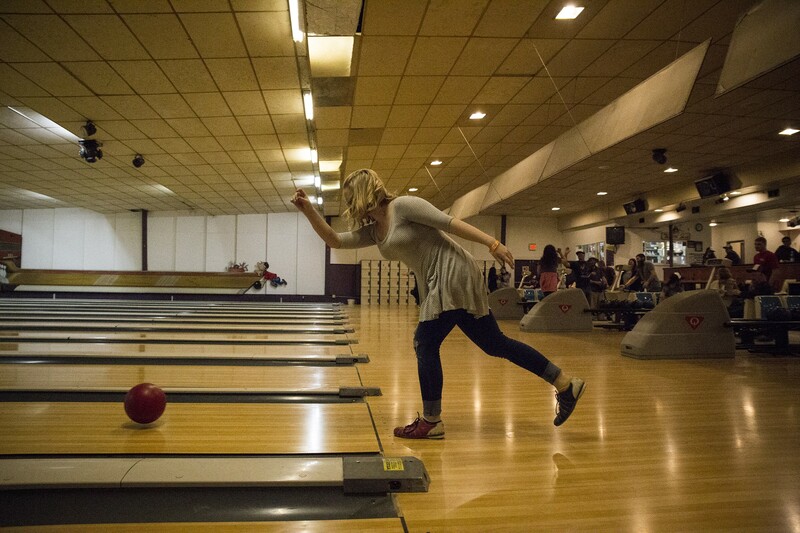 Kitt Roberts, a student at College of the Redwoods, bowling at the LeBOWLski bowling night. Attendees brought a cake that read, "STFU Donny," a line from the movie The Big Lebowski.